After studying marketing in the United States (Babson College), Bruce began his career at Harris Interactive. He launched in 1999 the first major European observatory for online studies. He is also Vice-President of the IAB Europe (Interactive Advertising Bureau), he coordinates international projects on digital audience measurement and is a founding member of the I-COM (International Conference of Online Measurement) conference. In 2008 Bruce joined Orange Advertising as international director of studies before becoming marketing director in 2011. 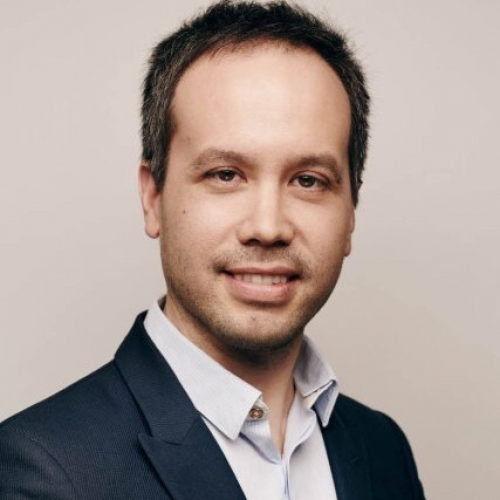 Passionate about big data, he took the position of data strategy director at Orange France in 2013 and launched the first DMP (Data Management Platform) of the Orange group. In October 2015, Bruce was appointed Director of Digital Communications and Data of Orange France.